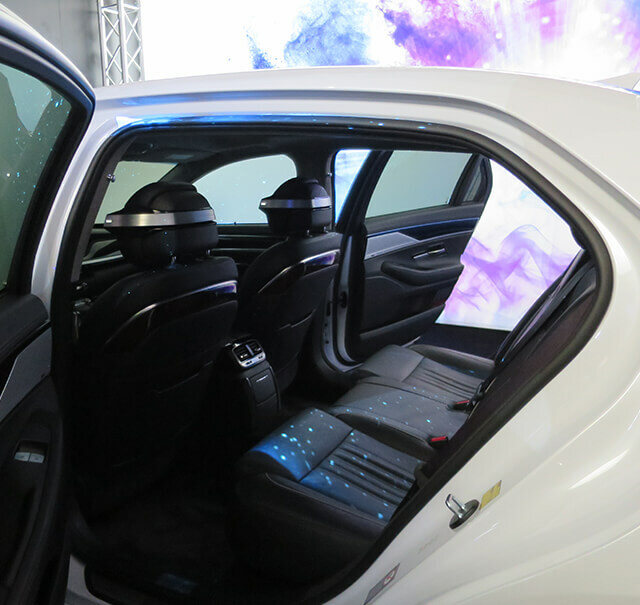 For the Consumer Electronics Show CES 2017 OSK teamed up with HARMAN to create an imaginative sales tool that wowed both prospective customers and the media in Las Vegas. 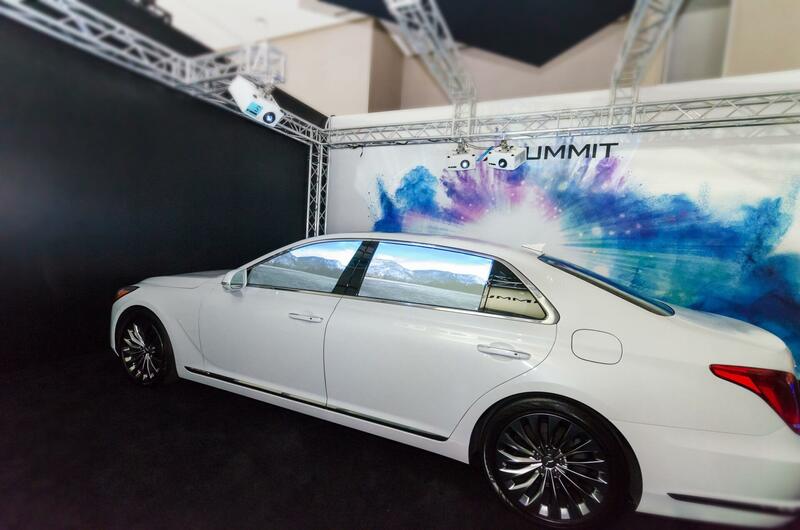 A technically sophisticated demo car enabled visitors to take a virtual test drive while enjoying the sound and look of the innovative SUMMIT Next audio system. 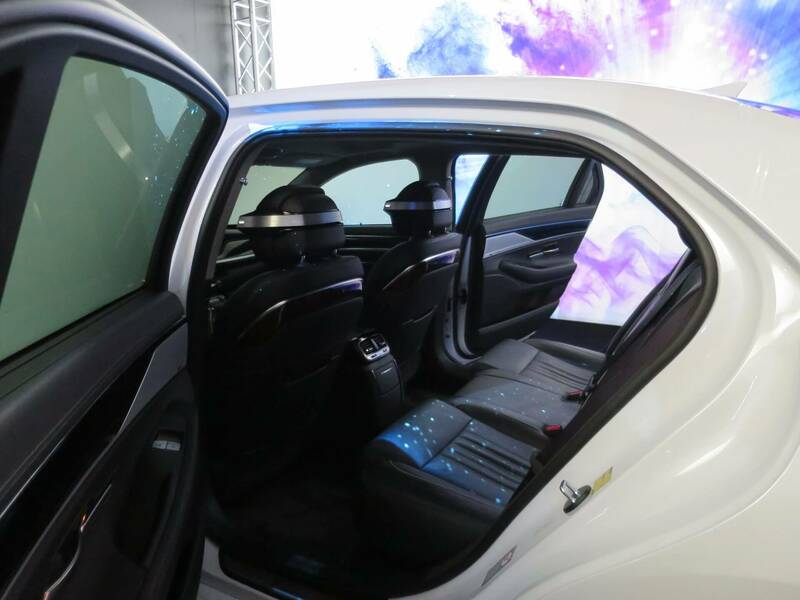 The challenge was to simulate an on-the-road test drive in an entirely static presentation, and to replicate sound effects that normally come to the fore only in a moving vehicle or in the presence of certain road conditions. 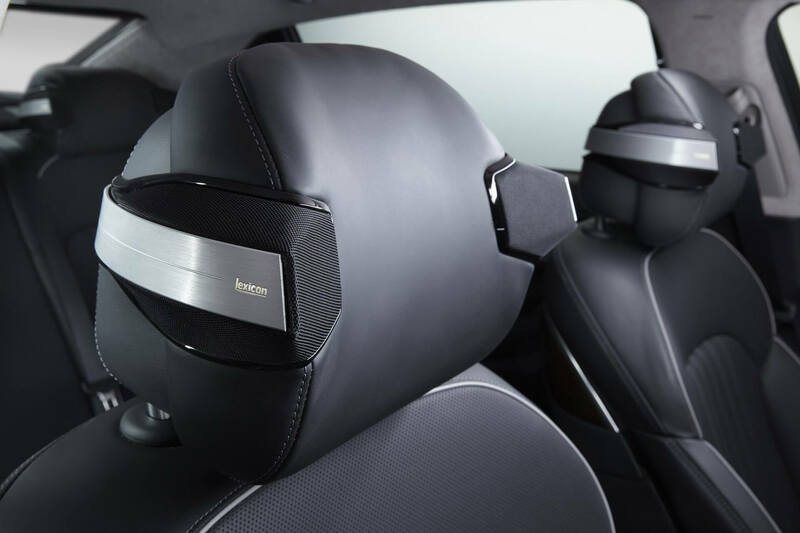 OSK therefore collaborated with HARMAN’s acoustic experts to design a demo car that took its occupants on a virtual, lively road trip from Las Vegas to the San Francisco Bay Area. Continuous images were projected onto the interior window surfaces of the stationary vehicle to create the perfect illusion of motion. 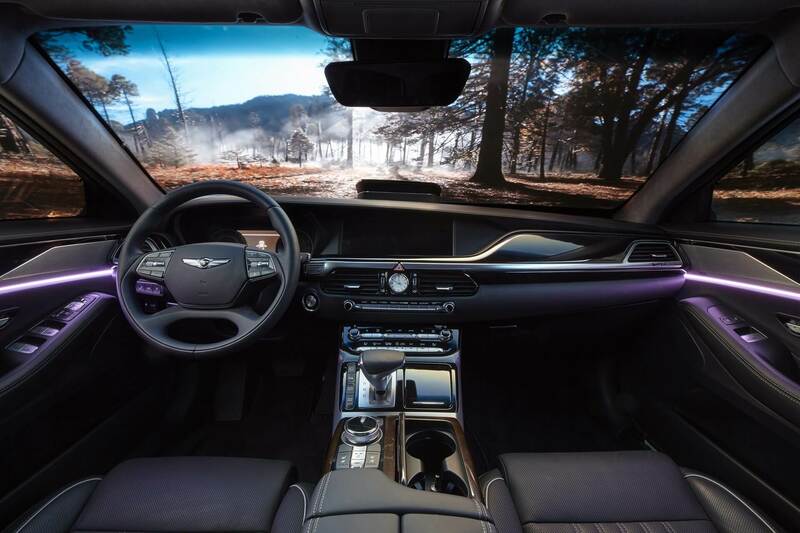 Even without the aid of VR glasses, the occupants could enjoy a 360° panoramic view of the passing landscape – exactly as though they were actually traveling in a car. They were likewise immersed in sound field reproduction from all sides, which generated the exclusive SUMMIT listening experience. 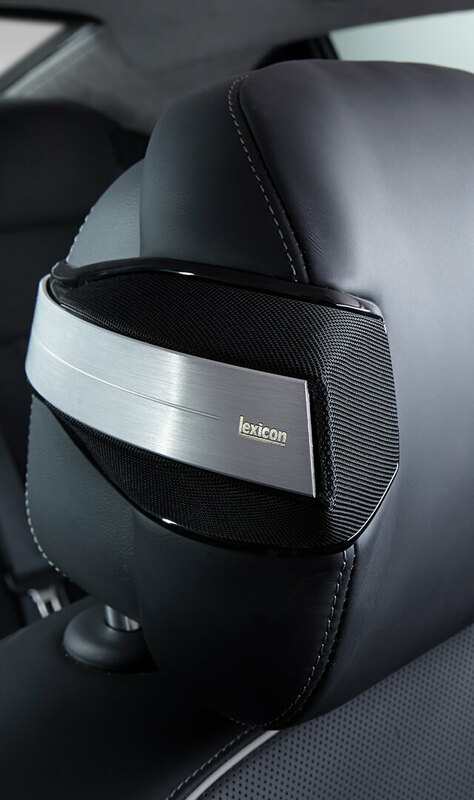 An exciting feature of the sound system is its ability to transport the vehicle’s occupants into the natural surroundings they see outside their windows, by sonically recreating actual environments such as a forest, the beach, thunderstorms and more. 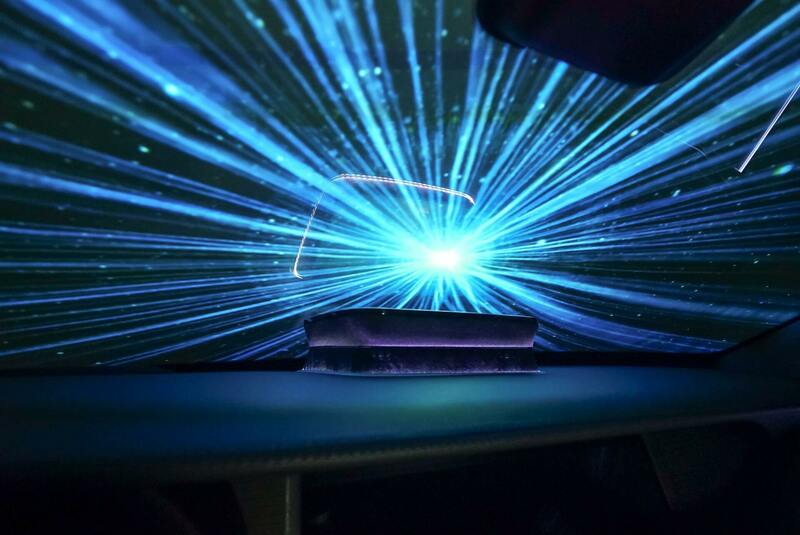 The perfectly harmonized sounds, projections and lighting effects in the confined space of the demo car suitably reinforced the effect.